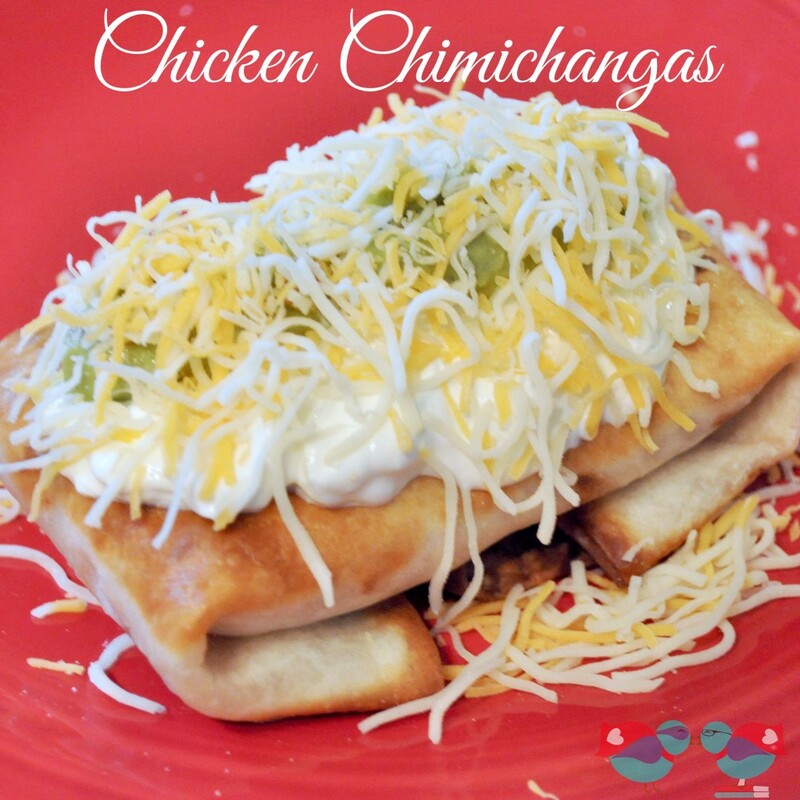 I love chicken chimichangas! I just really don’t think you can go wrong taking a burrito and deep frying it. It is pure, crispy burrito heaven. I personally like making them with chicken, so that’s the recipe you will find below. It is a fairly inexpensive meal and, while it takes a little time to cook the rice, the recipe doesn’t require too much work or attention. I was talking to my mom about this recipe and decided to include something I said to her in the post. She doesn’t like beans and would normally exclude the beans from the recipe. However, you don’t taste the beans. You really don’t. It does however add some health benefits to the recipe as they are high in fiber, protein, and antioxidants. 1. In a saucepan, combine chicken broth, rice, enchilada sauce, and diced onion. 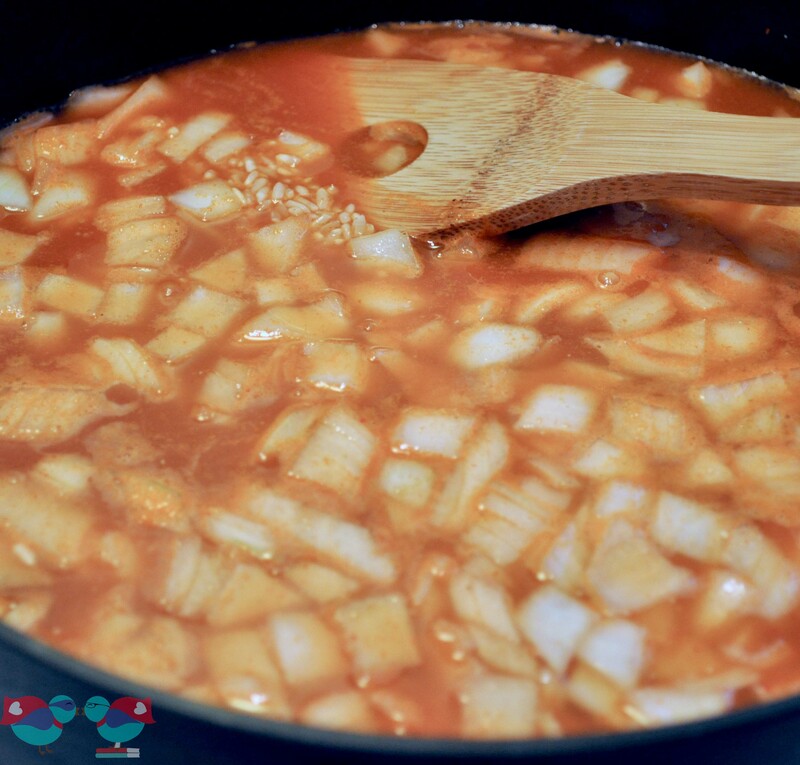 Bring to a boil and reduce heat to low and let it simmer for about 20 minutes or until the rice is tender. I do sometimes add a little more chicken broth and enchilada sauce after that 20 minutes if the ride does not seem tender enough and let it sit for some more time. 2. 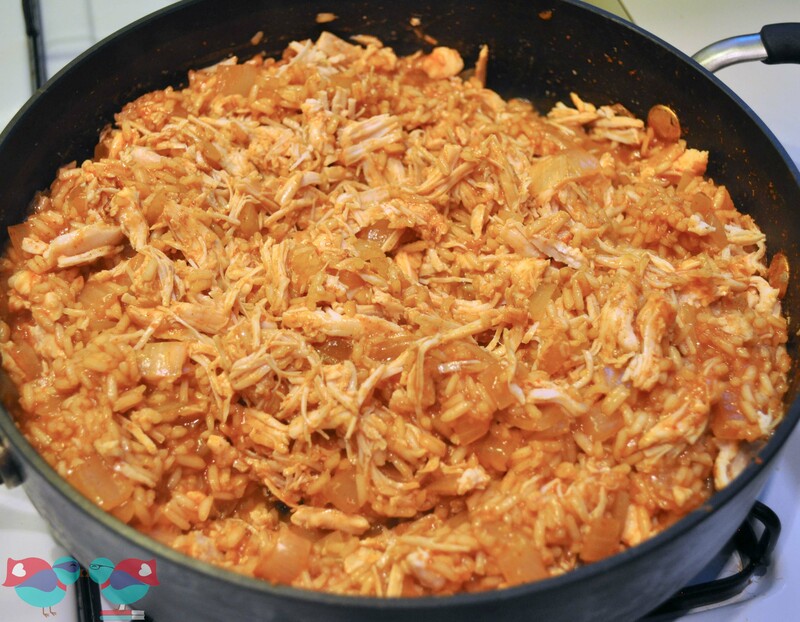 Stir in shredded cooked chicken and mix well. 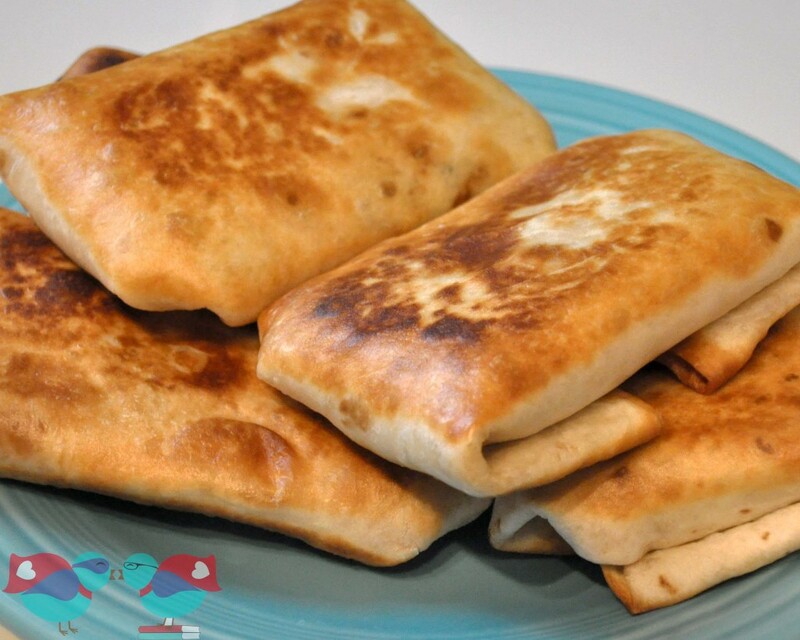 3.Heat tortillas in a large skillet or in the microwave so that they fold easily. 4. 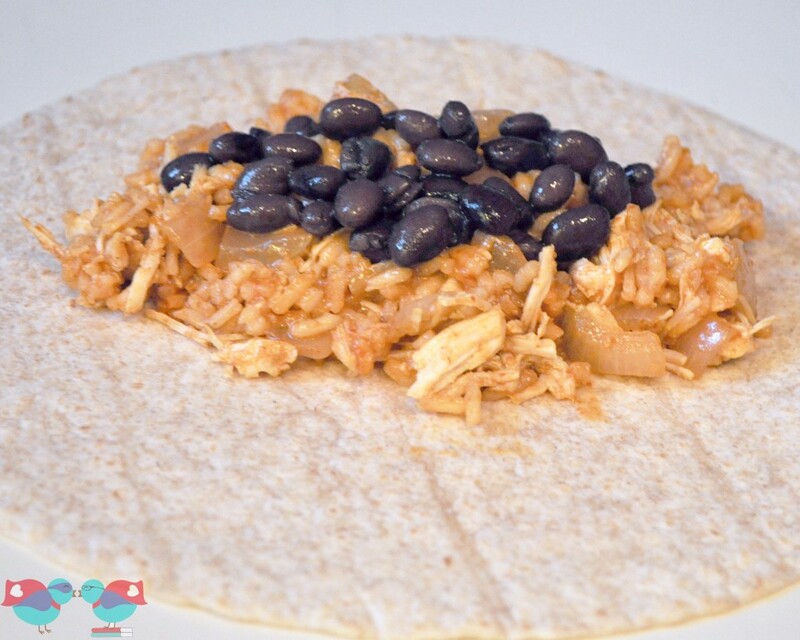 Spoon equal amounts of the chicken/rice mixture onto each tortilla and put a spoonful of (rinsed) black beans onto each tortilla. 5. 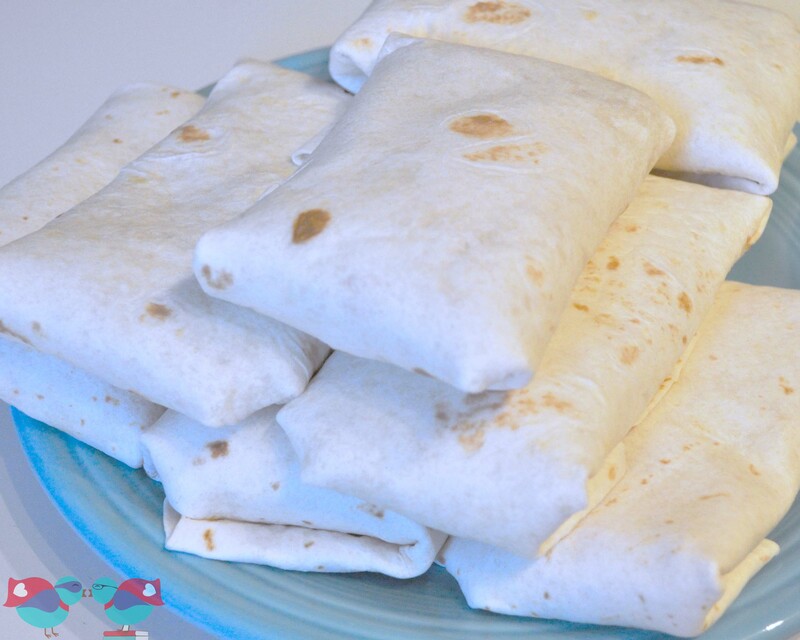 Roll up each tortilla; I fold over and tuck in the top, then fold the sides, and then fold the bottom on top of everything. Make sure sides are tucked in as well as possible so nothing comes out when you fry. You can secure the tortillas with a toothpick if you are having troubles. Rather than fry, lightly spray with a cooking spray and bake. These look delicious and they are going on my list of to make soon! Thanks for doing the recipe swap with me today! 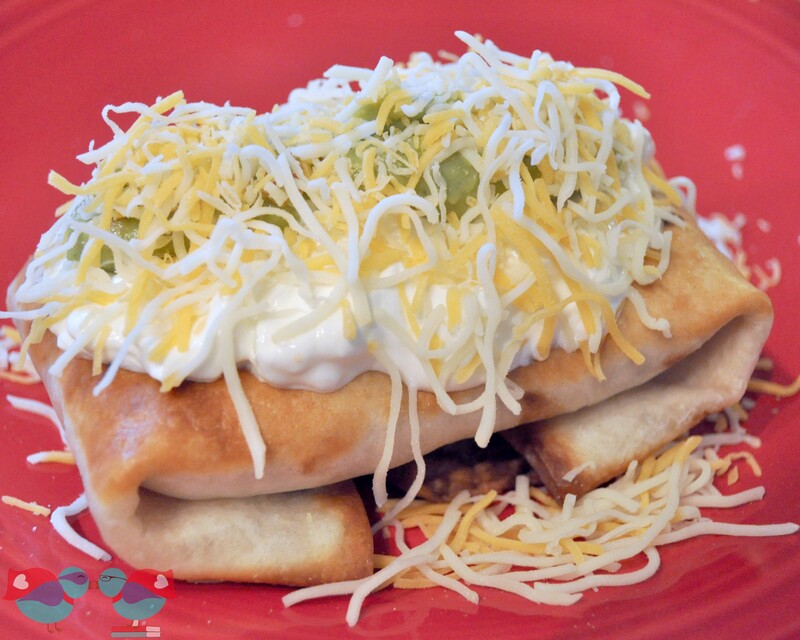 Pinned to my Mexican Food Board while I was here today too! That picture makes it look so delicious!